Waverley has been appointed to support the work of the National Rural Crime Network. We will support the Network’s public relations, public affairs and engagement work over the next two years and were selected following a competitive national tender process. 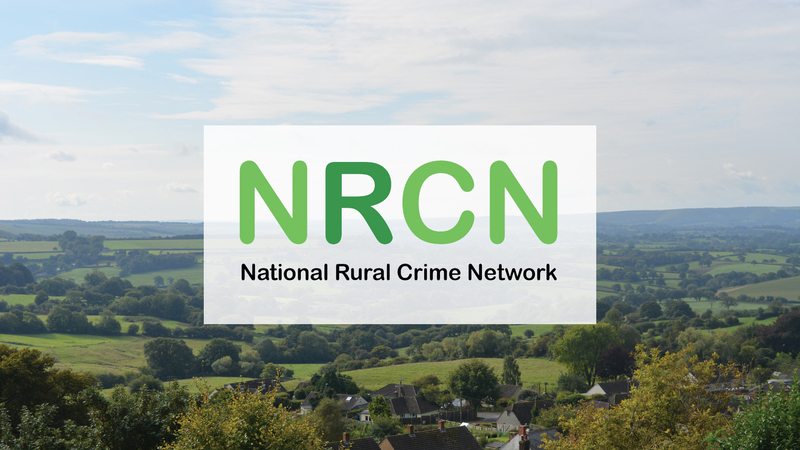 The National Rural Crime Network, established in 2014, works to see greater recognition and understanding of the problems and impact of crime in rural areas so more can be done to keep people safe and make them feel safe too. It has a membership of Police and Crime Commissioners and a wide range of other bodies with a deep interest in community safety and rural affairs, including the National Farmers Union, Neighbourhood Watch and Crimestoppers. Our work will be led by director Stephen Naylor whose experience working in politics and journalism, including leading a Member of Parliament’s constituency office in North Yorkshire, was one of the key reasons behind the appointment. “I am passionate that the voice of rural Britain is not only heard but listened to which is why I am looking forward to working with the National Rural Crime Network. Over the next two years, we will support its aim of engaging with all who can make a difference to those who live and work in our most isolated communities. Waverley has been appointed to support the promotion of major events which are held in our home town. We’ll work with the Brighouse Business Initiative (BBI) which runs a series of special weekends that take over the town centre bringing in tens of thousands of visitors and which are estimated to boost the economy of the area by two million pounds a year. The events include a 1940s Weekend, Victorian Christmas Market and this weekend’s Summer Festival, the first event which Waverley has been backing by providing media relations support, producing creative and engaging social media and e-mail communications and a series of graphics and videos. 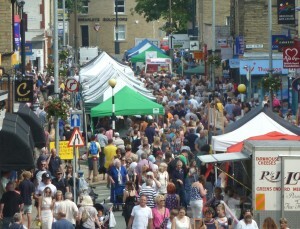 Director Stephen Naylor, who lives in Brighouse and has been a long-time supporter of the work of the BBI, which is made up of shop owners, businesses and key figures from the town, has worked with the group on the strategy for promoting the event. “Brighouse has been put on the map in recent years through the amazing work of the BBI so I am proud to be supporting their efforts to bring more people and more money into the town, boosting the economy which helps all businesses, shops and residents across the area. 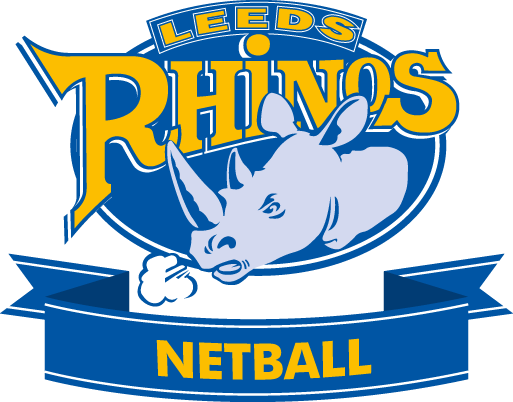 We have expanded our portfolio of sporting clients after being appointed by Manchester Thunder and Netball UK. Waverley will work with Thunder, the North West’s Superleague Netball team – who were runners-up in this year’s competition, to develop their communications, marketing and sponsorship activity ahead of and through the 2017 season. We joined forces with Thunder earlier this year to support and promote the Netball Manchester Live event which saw Thunder take on Yorkshire Jets at Manchester Arena. This new relationship will build on that work on an ongoing basis. We’ve also been appointed to develop the social media strategy of Netball UK, the UK’s leading online supplier of netball equipment and products, which sells across the country and the world from its Oldham headquarters. “We’re excited at the prospect of working with two of the leading names in the world of netball as Waverley continues to build our number of sporting clients. “Manchester Thunder is one of this country’s most successful Superleague teams and at a time of huge growth in the sport, we look forward to working with them to build the club, and the sport, across Manchester, the North West and nationwide. 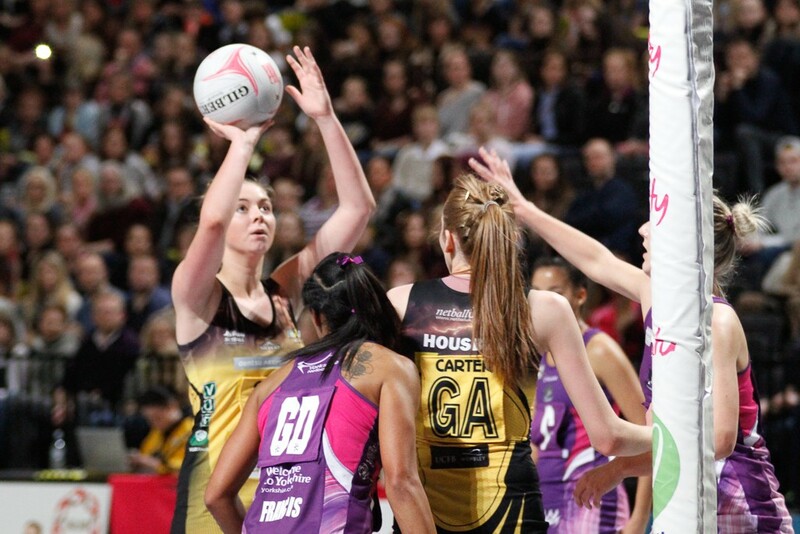 We have been appointed to support the first Netball Manchester Live between Manchester Thunder and Yorkshire Jets at Manchester Arena in April. The game, which is aiming to break the record for the highest attended domestic netball match ever held in the UK, will be broadcast live on Sky Sports. The record is currently held by Netball London Live which attracted 6,033 people last March. Waverley has worked with the organisers to create the branding for the event, including the logo, promotional materials and adverts. These are now on show across Manchester City Centre promoting the event and encouraging people to buy tickets. We already work to support both Manchester Thunder and Yorkshire Jets with their marketing and communications activity. 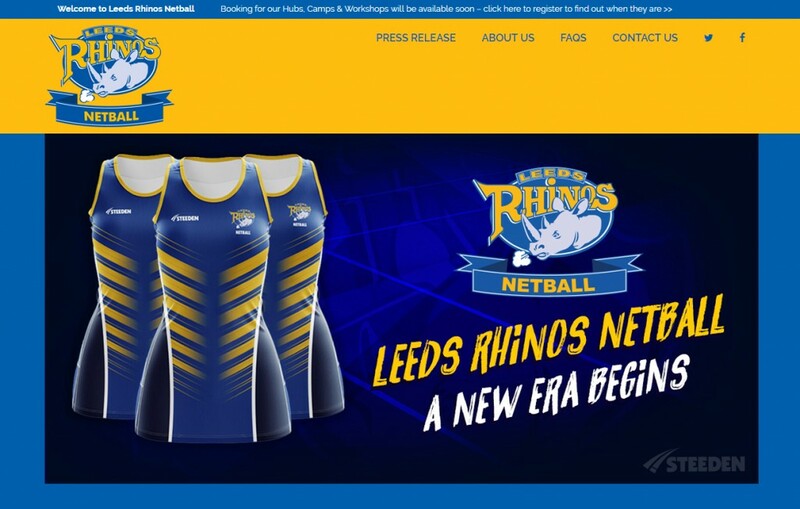 Waverley Consultancy has been appointed by Yorkshire’s Superleague netball team to boost their communications and marketing. We will work with the Yorkshire Jets to promote the launch of the 2015 Superleague campaign through pre-season and then during the 14 home and away games of the season, develop their brand, media relations and online presence. The Yorkshire Jets are one of only eight UK based netball teams selected to play in the Superleague Netball Championship, which is covered live by Sky Sports. Comprising players from across the Yorkshire and Humber region and around the country and the world, the squad includes athletes who have been selected for England squads at every level. “We are about to begin our pre-season fixtures and training is well underway for the 2015 Superleague campaign. It promises to be another exciting season and we are determined that as many people across Yorkshire get involved with the Jets which is why we have appointed Waverley to support our communications and marketing activity. A new business focused on providing communications and strategic advice for companies and individuals has been launched in Calderdale. Waverley Consultancy has been founded by former broadcaster, journalist and political adviser Stephen Naylor and will be based in Brighouse. It will work with clients to make their voice heard in a crowded marketplace ensuring their audience, whatever it may be, not only hear their message but listen and act upon it. Among the services offered will be communications and strategic planning, digital development and support and public affairs advice. “I am looking forward to being able to help individuals who want to develop their personal message and companies who want to build their brand and have their voice heard. After graduating with a degree in Politics and Law from Durham University, Stephen worked at Home FM in Huddersfield as a journalist, being promoted to be News Editor and then in charge of all programming before leaving to set-up a community radio station. He then was appointed to run the Conservative Party’s press and media operation in the North of England for the three years ahead of the 2010 General Election. Following the Election, he has worked as a political adviser.